Who’s to Blame for Fake News? Follow the Money. Who’s to blame for the regrettable fake news phenomenon? The Right? The Left? Google? Facebook? Here’s my own theory, and fair warning, it’s not a sophisticated one: to find the answer, simply follow the money. The proprietors of fake news sites are making bank, selling ad space against content that earns clicks. These are modern day link farms. Unlike their antecedents from the early 2000s, which were used as shady SEO tactics to pump up website visibility, today’s fake news sites are highly visible to the public, even if they don’t always recognize them for what they are. Social networks – particularly Facebook – are traffic generators for spurious news sites, and are important elements in this money-spinning equation. Before we move on, however, let’s take a second to recognize the fact that fake news and manufactured hype aren’t new. Look no further than the National Enquirer and publications of that ilk. As it turns out, a large swath of the population are attracted to sensational headlines like moths to light, and have been for decades. So what’s the catalyst? Programmatic advertising gets my vote. Defined very simply, programmatic advertising platforms provide one-stop shopping for digital ad buyers, enabling brands to place adverts across entire networks of websites. Within the programmatic space are a subset of companies that aggregate web site inventory, effectively creating a network of unrelated and lower-tier websites and blogs against which they can sell ads. These are called ad exchanges, and while they make it easy for a brand to place ads, they also make it more difficult (if not impossible) to discern on which sites ads will be placed. Stay with me, we are getting closer to solving this riddle. Now, I’m not suggesting for a nanosecond that big brand marketers have any desire whatsoever to associate their companies with fake news. Nonetheless, it’s happening. How is this possible? Now you see the problem, right? Somewhere along the line, someone was OK with deploying a digital campaign against an undefined network of websites, using a vendor they trust but of whom they don’t ask tough questions. One thing leads to another, and the operator of spurious news sites makes a healthy deposit. This is the end of the money trail, but somehow, this isn’t a satisfying or complete answer to the problem. We’re wasting energy pointing fingers at each other, sloppy journalism, social networks and search engines. The root cause is a dearth of critical thinking and a lack of rigor – on the part of both the ad buyers and the news consumers. Instead of expending energy accusing ideological enemies, maybe we should get behind organizations like the Foundation for Critical Thinking instead, and try to solve the problem, rather than simply laying the blame at the feet of the loyal opposition. The first week of college football is in the books, and it was a wild and woolly opener that combined expected blowouts with shocking upsets. The early season is never predictable, but as we get deeper into the season, the playing field generally looks more even as teams meet their better-known conference rivals. The podcasters and bloggers I follow make valiant efforts to make sense of these early season games, breaking down even the unlikeliest rivals and their rosters in exhaustive detail, and the discussion of home field advantage factors heavily into every prognosticator’s assessment. Home field advantage is one constant, it seems. One particular stadium has a loud crowd, another game requires a team to travel two time zones, and that place in Iowa City has a pink locker room. Consensus seems to indicate these factors matter. The data disagree. Home field advantage might be a constant, but it’s no accurate predictor of success. According to an analysis done by the folks at DataOmaha, it turns out that home field advantage in college football is a myth. Teams are more increasingly likely to win on the road, and home field advantage has nearly evaporated. Yes. In the last two years, Power 5 teams won at home 50.8% of the time. In the Big10, the scales actually tip in favor of the road teams. What’s driving these trends? A lot, it turns out, and you can dig into those details here (College Football’s Greatest Myth) if you’re so inclined. But this post isn’t about football. It’s about how easily we cling to our assumptions, even as the truth lurks among the data. It’s also about how important it is to start synthesizing and using the data that surrounds the brands we represent. As marketers, we just have to look, and one needn’t work for a huge brand with vast resources in order to use digital data to inform and improve how the brand goes to market. In short, this is really about the death of the way things have always been done. The truths unearthed in the data unearth may upset some apple carts. It’s hard for people to accept proof that a long-held assumption (such as home field advantage) simply no longer holds water. I hate to sound like a bureaucrat, but in my experience, embracing these new truths generally requires some stakeholder education. So how do you help people let go? Testing of new tactics is a good place to start. Create some controlled experiments or A/B tests against clear benchmarks, and see what happens. Here’s one example. I used to run social media and content for a former employer, and noticed significant differences in response rates between audiences on LinkedIn and Facebook. At the time, most of the content we were producing was focused on cutting edge industry trends, and how early adopters and fast followers could capitalize on new technologies. However, our audience on LinkedIn wasn’t nearly as interested in those ideas, and our views, engagement and ultimately leads from that channel were dipping precipitously. So we dug into a couple of the leading industry-related groups on LinkedIn, each of which featured lively conversation and membership numbers in excess of 100,000. The analysis of the conversations there identified four topics around which the groups strongly engaged – and three of those were topics the brand wasn’t speaking to at all. We created a new weekly feature on the blog designed to speak to one of those topics, and curated content on LinkedIn relating to the others. Within weeks, we noticed a spike in LinkedIn activity and followers, and lead flow subsequently improved. In fact, in the ensuing months, the growth in the KPIs I was watching for LinkedIn showed strong up-and-to-the-right movement. This was a clear win. Sure, the analysis took some time, as did adjusting our strategy to fit the data. But it worked, and we used the test data to inform an entire marketing arc, building out a section of related content on the website that was hooked into our lead nurturing engine. We successfully used an observation (differences in social audience behaviors), tested responses to the findings on one channel, and used that data to fine tune the acquisition strategy. Importantly, the proof the experiment offered, by testing findings with “our” channel, our content and our people, gave stakeholders the confidence to pivot. At this point, most of our brands have decent data sets available to them. Website analytics are two great places to start, and our marketing automation stacks are also a rich and important source of information. Counterintuitively, though, the data itself isn’t the place to start. Before you start exporting sets and whiling away happy hours in excel, spend some time thinking about your business objectives and desired outcomes. Use these as context for your analysis, and then push yourself to identify the specific questions for which you’re seeking answers. Unquestionably, art accompanies the science of data analysis – you have to be open minded enough to allow the data to suggest additional questions, but regimented enough that you don’t get sidetracked. It’s a balance. In the earlier example, I didn’t set out asking the question “How do our Facebook and LinkedIn audiences differ?” The question I was asking was related to what content lead to the most productive leads, but then rapidly leads to questions about differences in audience make up, preferences and behavior. Failing to evaluate available audience and customer data is, in my mind, a mortal sin for marketers. Consequences of ignoring data are myriad and dangerous, to both brands and careers. Opportunities for marketing to contribute significant value are overlooked, and those opportunities carry costs in terms of time, as well as revenue. Companies that get it right generate competitive advantage, making life exponentially more difficult for their competition. I like to think of the digital intelligence at our fingertips as the little blue dot on the Google Maps app on my phone. It’s constantly re-calibrating, alerting me to potential delays, and suggesting more efficient alternative routes. Sticking slavishly to the strategy plan penned a couple years ago and getting mired in “the way we’ve always done it” is like using an old atlas to navigate as you drive. It may not be up to date, and even if it is, you’ll probably miss a turn or two. The DataOmaha study reveals that advantage on any given Saturday for our favorite college football teams is a function of a whole slew of variables, and those shift from week to week. If you’ve not done so already, find and debunk your brand’s “home field advantage myths,” and let me know how you fare! WWW founder Tim Berners Lee is in the process of doing humanity another solid as he builds out plans to return control of our personal data to us, the netizens of the world. If it takes off, the project has the potential to change the web as we know it – from the web economy to the user experience – as we know it. It’s interesting stuff, to say the very least, because it threatens the web’s power structure, at the top of which sit companies like Google and Facebook. Right now, Google, Facebook, Amazon (and their ilk) have control over our personal data. Most of us stay logged into our Google and Facebook accounts, for example, giving both companies a clear view of our online behavior: the websites we visit, the searches we conduct, our relationships with people, the content we produce, the pages and ads we linger over (and the pages and ads we skip past) — you get the picture. These companies synthesize our info into hard data which they own and wield. This hard data gives them massive power, enabling Google and Facebook to not only shape what we see when we’re online, but to influence (or more accurately, impact) how information is shared, how people buy things, and potentially, how we think and act. In a nutshell, Solid aims to package your individual data and store it in a module, and – here’s the good part – enable third party applications to access your data at your discretion. We can expect a sea change in digital economies, as empires built on personal data will face significant challenges to their current business models. Our online experiences will become even more smart, relevant and useful, as individuals would be able to effectively “deploy” their data strategically. We’ll see some really interesting and potentially valuable uses of structured Solid data. While the idea of dismantling the nodes of digital power described above are appealing, the last point about uses of aggregated Solid data is also terribly interesting. “For example, if you wanted to, you could give permission to a travel site or to a climate action group to access the information in your pods about your demographics and the trips you’ve taken. That group could mash that information up with data from other people’s pods to get an updated picture of where people are traveling and how that’s affecting local economies, carbon emissions, and perhaps national attitudes toward foreigners. For digital marketers, a data landscape underpinned by Solid (or IPFS or even blockchain) represents a game-changer. While I don’t see Google, Facebook, Amazon et al at risk of losing their power entirely, an environment in which individual users have control over their data means that marketers will, at some point, need to develop enough trust with their audiences to entice individuals to allow brands into the walled gardens of their personal data. Obviously, Berners Lee and other parallel projects face immense obstacles – they will challenge entrenched and truly enormous business interests. However, that’s no guarantee of a sound future. Don’t believe me? Ask the folks at Yahoo, and for that matter, Google. Internet users are legion, and if we decide we really do care about how our data is gathered, owned, used and monetized, then we’ll see the balance of power start to shift. Are Marketers Keeping Up With Evolving Buyer Behavior? 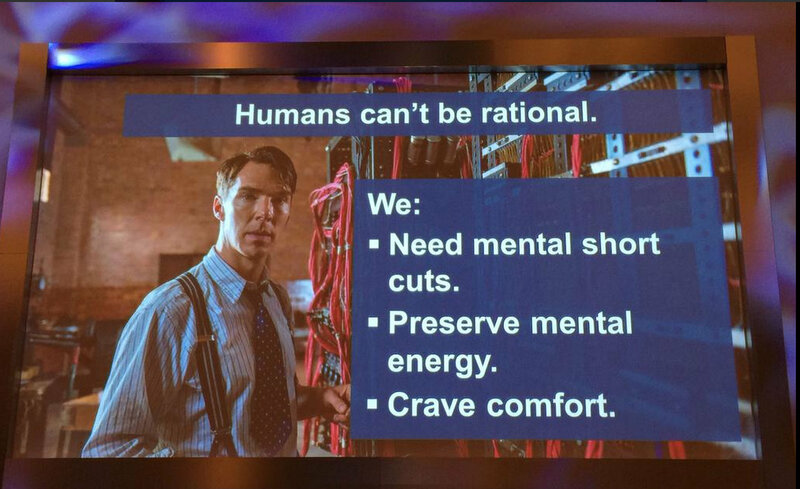 This screenshot from Shar VanBoskirk’s presentation deck offers stark truths about how we make decisions. Are marketers staking too much on their perceptions of their buyers’ journeys? Recent research from Forrester and Google suggests that buying behaviors are changing dramatically, throwing many marketing assumptions into question. Let’s take the buyer’s journey, for a start. According to Forrester’s Jay McQuivey (@jmcquivey), the digital environment has driven fundamental changes in customer behavior; effectively laying waste to any notion a marketer may have of a linear sales funnel. We’re in an era of hyper-adoption, McQuivey says, which is characterized by the rapid and nearly simultaneous adoption of new behaviors. People are increasingly willing to try new things, providing doing so has little cost, whether that cost is in terms of dollars, time or privacy. For marketers, the challenge is in keeping the fast-moving and increasingly fickle audience engaged, as McQuivey notes that brands have to continually re-acquire their audiences’ attention. In addition to changing customer behaviors, we also need to consider the fact that buyer decision-making is becoming more impulsive. Forrester’s Shar VanBoskirk’s (@sharvanboskirk) recent research, entitled “How People Choose,” posits that marketers have a false sense of precision of their abilities to understand and predict consumer behavior. As animals that are hard-wired to respond to stimuli, the cacophony of today’s online environment is making us more inclined to make quick, gut-based decisions. According to VanBoskirk, routine purchasing decisions are lead by price, habit and convenience. “You need to make it easy for people to pick you,” VanBoskirk notes in her research. The fewer barriers there are between prospects and the information they seek, the more likely they are to buy. Viewed through this lens, the buyer’s journey timeline starts to collapse, morphing from months into mere moments and rendering nurture streams and content drips ineffective. “Digital gives marketers a false sense of precision,” VanBoskirk said at Forrester’s Marketing Leaders Forum in New York earlier in April. While these tactics are still useful ways to warm up inactive customers or spark interest in an old set of leads, to succeed in customer acquisition and on-the-fly decision support, the content strategy needs to be much more nimble, because audience behavior, and their expectations of brands, have changed. Our buyers’ impulsive behavior has marketers talking about moments, not campaigns or nurture strategies, because decisions are being formed in the moments spent waiting for a train, when a challenge pops up mid-task or during team discussions. Buyer expectations have risen dramatically, due simply to the computing power we all carry with us in the form of smart phones and tablets. When questions arise or an idea is percolating, we whip out our devices and perform a search on the spot. The brand that wins is the brand that has a relevant and accessible answer right then and there. In this scenario, who are the losers? Brands that haven’t invested in building customer-focused content are the most likely to be overlooked. According to recent research by the Acquity Group (2014 State of B2B Procurement) B2B buyer behavior is increasingly mirroring consumer behavior: the vast majority of buyers (94%) are increasingly conducting more research online, and browsing multiple channels pre-purchase. However, brands that hide most of their content behind gates will also lose in today’s fast-moving, moment-driven information economy. Jeffrey Cohen makes a compelling case in his recent Social Media B2B post titled “Your B2B Prospects Want to Binge Your Content,” in which he noted that while Netflix is dropping a show’s entire season all at once – in response to changing customer demand — many brands still use the old-school approach of network TV, controlling the timing and format of content delivery. Think about it. Instead of presenting the answer to a prospect’s question on the spot, delivering a mobile-friendly experience that serves the prospect’s interest in the moment the query is made, a company that requires the prospect to enter personal information and then serves up the content in a different channel (e.g. 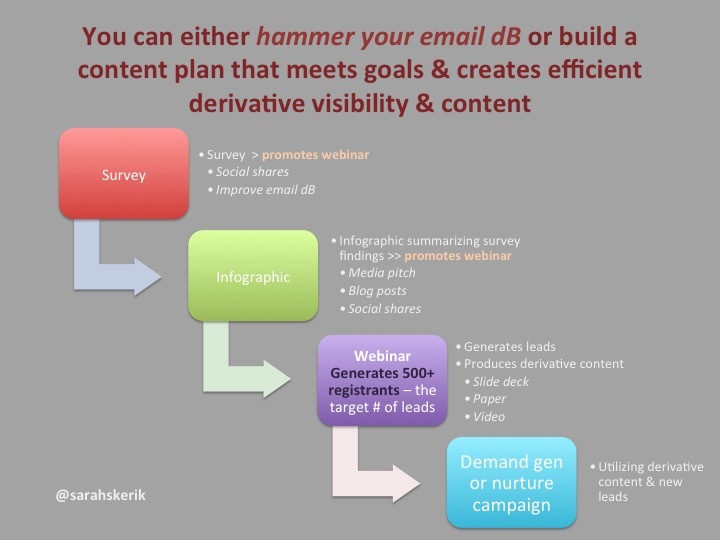 email) is going to lose that engaged prospect the majority of the time. The aforementioned Netflix, and its fellow television/streaming video competitors, are a good analogy for the new content imperatives for brands. As customer demand for content has increased, Netflix, Showtime, HBO and others have upped their game, launching high-value and wildly popular shows. The desirability of showsHouse of Cards, Game of Thrones and Mad Men triggered an entirely new behavior – binge watching – fueling demand for original content. However, it was the new distribution model that changed audience behavior and raised expectations. Starting with on-demand shows and now including access to entire seasons and the ability to watch at almost any time, at any place and on a slew of devices, an emerging group of new players changed how tens of millions of people prefer (and expect to) consume television shows. Great content. Great content – information that is relevant, visual, robust and inspiring – is the lynchpin in a successful marketing strategy. Savvy marketers will align the content not with what they believe the buyers’ journeys look like – they will align the content with marketplace interests and aspirations. Hubspot’s CMO Mike Volpe (@mvolpe) describes his approach as the realization that brands need to earn attention, not rent it. In an interview with Openview Partners, he noted that more than 75% of the leads they generate, and 90% of the new customers they acquire come from the inbound traffic produced by the company’s copious and enviably high-quality content program. Hubspot does have a small paid media component in its mix, but Volpe noted that the acquisition costs of the paid programs far exceeded the costs of leads generated by the firm’s content. Communicate in the moment. In addition to developing content that truly speaks to the interests and needs of customers and prospects, brands need to take an honest look at how the decisions to buy are made, and where along that path – if a path even exists – the brand has the opportunity to influence the decision. This requires organizations to deliver and package content that is mobile friendly and fits the prospect’s agenda, not the brand’s. Guard against multiple form submissions standing between prospects and content, and focus instead on serving answers seamlessly when questions are asked. Employ models that fit your organization’s reality. As customers become more impulsive and less tolerant of marketing processes, brands need to ensure their marketing models fit both their customers’ evolving buying behaviors and other marketplace nuances. If the marketplace is relationship driven, for example, or if the brand has a large field sales team, the content needs to be portable and timely, so account teams can easily use it to open doors on social networks, or reinforce conversations as part of their post-meeting follow up. Envisioning a “marketing machine” that fosters interest in live leads by taking people out of the equation is a fallacy when it comes to relationship selling. Smart, dynamic content is also crucial for brands that struggle with differentiation in their marketplace, and for which price becomes the primary decision factor. Thoughtful content that describes the company’s “secret sauce” and provides expert insight and real-world customer stories are the bases for differentiating the brand and changing marketplace perception. Technology advances – ranging from the continued acceleration of the use of mobile devices for work related research to the coming age of wearables and IoT – are increasing the noise in our lives and competition for our attention. We feel constantly busy and occupied, and as a result, are more inclined to go with our guts when making fast decisions. The sales funnel – which has been under pressure since social media started to take hold – simply isn’t a valid analogy for the buying process any longer. Marketing success today is built largely upon a brand’s ability to create moments that matter for its audiences, and great content forms the foundation for those moments. 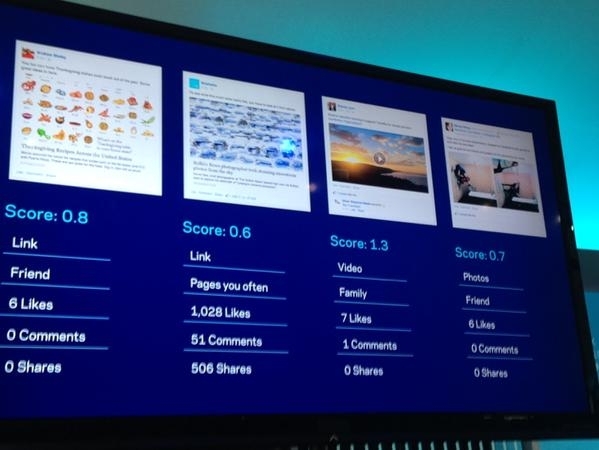 A look at how Facebook scores content, per individual user preferences. That made no sense to me, so I dug a little deeper, and I’m convinced that his company didn’t have a Facebook problem – they have a content problem. The articles his brand is paying to syndicate on Taboola are thinly veiled sales pitches, as is much of the content the brand is posting to Facebook. To be effective, brand content must first and foremost serve the audience interests. If it fails to do so, the brand will see no benefit from their efforts. For tips on how to get the message right, we don’t need to look any further than the largest social network in the world: Facebook, where they’ve made serving their users relevant and interesting content an exact science. Facebook’s News Feed has become an most important source of information for millions and millions of people; so much so that publishers like the New York Times are in talks with the social network giant to explore serving news content within Facebook itself, rather than on the publisher web site. At the Facebook Developer Conference (F8) in March, News Feed manager Lars Backstrom gave us a look under the hood at how News Feed works, offering important insights into the signals Facebook uses to identify and serve users content they’ll love. News Feed, which appears as the center column on Facebook when viewed on a desktop, and the main tab on the Facebook mobile apps, displays two kinds of stories: organic and sponsored. Organic stories are those you see because you follow another person or brand. Sponsored stories are commingled with organic stories, and are paid insertions. The most significant input into what each individual sees on their News Feed is first and foremost the people and entities they follow: friends, publishers and brands. The user’s relationship with the author. Simply put, we see more content from those people we are close to, and that closeness is function of the quantity and quality of our interactions. Type of content (e.g. text, photos, videos.) News Feed will evolve to show users the more of the content type they appear to prefer, as determined by which they interact with most frequently. Likes and comments. Facebook infers that stories with more likes and comments is higher quality and more relevant to users, and serves users more content that has proven popular. Backstrom went on to describe how Facebook uses those signals to calculate and score each piece of content in terms of its relevance (specific to each user), and then uses those scores to order posts in user News Feeds. The aim of this exercise, he noted, is to ensure Facebook users don’t miss stories that would be important to them. While News Feed does continually refresh, once a user scrolls through their newsfeed, the stories “lock” into place. Facebook then bubbles new, high-scoring content to the top of the users view. Backstrom also revealed how Facebook is looking beyond user signals to reduce the instances of clickbait and hoaxes. The challenge, he noted, lies in the fact that many of these kinds of stories garner high numbers of initial clicks, but upon seeing the story, users are disappointed. The answer: a large panel of contractors, testers, from a broad variety of backgrounds, who continually offer feedback on the accuracy of News Feed’s recommendations. Additionally, Facebook has also made it easy for users to report questionable content, enabling its swift removal from the News Feed. “We’re using feedback from people to align ranking with what they’re telling Facebook is interesting and relevant to them,” Backstrom explained. For brands, Facebook remains a conundrum. In their efforts to cater to user preferences, display of promotional posts from brands has been curtailed, because user behavior indicated strongly that people don’t like to see a glut of promotions in their personal News Feeds. However, building a strong organic audience on Facebook is still important for brands: in addition to keeping a brand top-of-mind, a strong following also ensures better exposure for sponsored messages. Try to have a distinct brand voice, and really connect with people who are following your page in a human way. Provide context for the content you’re sharing. Create and then fulfill their expectations. “This is News Feed. People want info about things that are happening right now,” Backstrom said. “Be first to press. Hit the trending wave“. 3 ways to ensure content speaks to audience interests So how can publishers better align content the content they publish with audience interests? Backstrom offered three tips. Experiment. Run lots of posts; see what works; what gets the most reach; what gets the most engagement. In the long run, he advised, audiences want substance, and they can handle high volumes of the right content. Backstrom noted that some publishers post numerous times a day with success. The key to success is to remember that everything Facebook does with News Feed is driven from the user perspective; and at Facebook, that means from each specific user’s individual point of view. This snippet from the excellent Weber Shandwick infographic on social CEOs summarizes a number of benefits both the C-suite and the brand can realize from having executives active on social media. Despite the ever growing mesh of connections that now interweave information, interaction and (let’s face it) brand communications ever more deeply into our lives, the C-suite remains under represented in social networks. According to The Social CEO Report, a survey by CEO.com, fully 68% of Fortune 500 CEOs are absent from social media. Surprisingly, the percentage of CMOs that are active on social media from top companies is even smaller – fewer than 20% of Fortune 250 CMOs can be found on social web. In a word, the leaders of the brands upon we rely are outliers, not behaving as the statistics would suggest. While the rest of the planet is eagerly connecting with each other, these folks … aren’t. A conversation I had with the CEO of a niche medical devices events company a couple years ago shed some light into how this situation evolved. We were discussing blogs and social media. He was asking me what I read (my Feedly is stuffed with more than 1000 blogs, lovingly categorized) and how I managed the social presences for the brand I represented at the time. The method to my madness. Feedly creates an organized “newspaper” out of all my favorite blogs. “Why do you spend all that time reading what all those people are saying? Why don’t you just read industry press?” he asked me. “Because those are my customers, and issues that concern them are a lot closer to my business than news article in the trades,” was my reply. “What about social media? You don’t actually talk to those people, do you? You don’t respond to them, do you?” His incredulity was growing. “Of course we respond to them! They are our customers and prospects!” I was equally stunned at the gulf that spanned our perceptions of our respective marketplaces. “Well, I don’t have the time to do that,” he said. More recently, I listed to a friend (a fellow marketer, and strong social media player himself) gnash his teeth over his company’s plans for 2015. They were determined to push out a product suite that wasn’t really competitive, and didn’t perform that well. Worse, he said, was that the value proposition just didn’t jibe with customer needs. “Has the guy running product been out on any sales calls lately?” I asked, feeling a bit sick for my friend, and wondering how the company could have gotten this far into the product if it really wasn’t a fit for the market. I bought him another cup of coffee, and we made jokes about buckets of whitewash and what shades of lipstick looked best on a pig. But kidding aside, this sort of marketing isn’t fun, selling products that don’t fit the market is hard, retaining customers who don’t flat out love your product is tough and no superstar designers/engineers/coders/anything want to work for a company that is obviously floundering in its marketplace. The repercussions of not listening and talking to the marketplace at a high level within the company all but ensure the leadership will miss out on essential truths and insights that can inform product development in a fundamental way. Social media is a lot more that a marketing exercise today. It’s a crucial form of customer communication, and a rich source of unvarnished truth. The C-suite that overlooks social puts itself at a distinct disadvantage. The good news for execs who aren’t yet on social this: it’s not too late. I’ve penned two columns recently, the first making the case for why the C-suite needs to cultivate social media presences, and the second offering tips on how to start building an effective executive social media presence. Today would be a great day to start! By now, most organizations are on board with content marketing, if you read industry surveys. According to the Content Marketing Institute’s 2015 B2B content marketing report, more than 80% of B2B marketers have a content marketing strategy and that shows in the volume of content brands are producing – the deluge of blog posts, infographics, ebooks, papers, articles, guides, videos and podcasts marketers have published is staggering in breadth. However, the same CMI survey also indicates that only 35% of marketers have actually documented content marketing strategy, which is why most brands continue to struggle with producing enough content, and measuring the results content marketing delivers. It’s time to resolve to get a handle on content and, more specifically, make it work for the brands we represent. Demand for content is swamping marketing resources. The SEO team requires content related to target terms, the social team needs fodder for sharing, the demand gen team requires content for email campaigns and nurture streams, the product marketing team needs case studies and guides: everywhere the content marketer turns she finds legitimate demand for branded content. A direct result of the increase in publishing tempo is a corresponding decrease in the ability to measure results. These difficulties in capturing returns raise serious questions about the amount of resources the company should be devoting to developing content. It’s not “content marketing.” It’s marketing with content. If your organization is challenged by either the production or measurement of content (or both, as is the case for many) abandonment isn’t the answer. Instead, the organization needs to first rethink the role of content in its larger marketing strategy. Here’s where we meet another common stumbling block. The rise in popularity of content marketing has, for some companies, created another silo, which really is at odds with how content marketing should work. 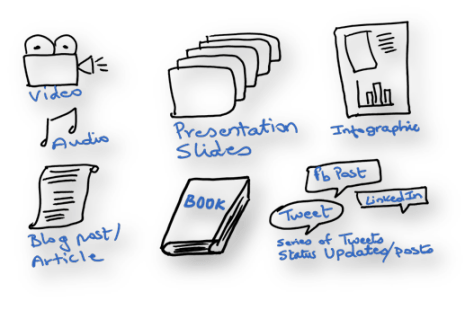 A good content strategy should sit at the center of the marketing organization, integrating disciplines, capturing efficiencies and producing high-octane marketing fuel. If your organization is struggling with deriving results from content, these resolutions will help your marketing team realize the full benefits content marketing can deliver. Integrate & align: Don’t create one-off content – it’s wildly inefficient. Instead of simply fulfilling orders for ad-hoc content, develop an integrated content calendar that sits at the center of the marketing operation. Use product road maps, events calendars and keyword strategies to build a framework for the brand’s content, in terms of timelines, priorities and core language. From there, develop content with relevant channels and audiences in mind – after all, leads, prospects and influence come from various sources (search, social, direct) and over time. Make objectives measurable: Planning campaigns and major pieces of content should start with this question: What is the outcome we need to achieve, and how will it be measured? Asking this question naturally invites the team to take a multichannel approach, creating more overall awareness and useful derivative content that would be missed if the team just decided to crank up a few more emails. It’s useful to reverse-engineer the primary objective to get a handle on what outcomes need to be achieved in order to meet the goal, and to inform the tactical plan. A good content strategy needs to be nimble, imbued with a news sensibility and attuned with the marketplace. An overbaked process that requires submission and approval of three-page creative briefs simple blog posts, for example, is all but guaranteed to zap all spontaneity, eliminating valuable opportunities for the brand to seize important moments to create relevance and credibility with the audience. Simply put, trying to micromanage all aspects of content will fail. Your calendar needs to be flexible, to enable real time response. Unmet demands can turn a cohesive team into a warring tribe. Building a centralized calendar will literally get the team onto the same page. It requires discipline to create and implement, however, the efficiencies the team will realize are both a powerful incentive and a reward. Make improving your brand’s content effectiveness a resolution for 2015 – and don’t forget to let me know how you fare. There’s no question that automated marketing systems are delivering results for brands. Implemented well, prospects receive persona-specific content dripped to them in reasonable intervals. If the content mix is right, prospects will be exposed to a host of messages, a few of which might stick, turning interest into demand. This approach to demand-gen is also extremely measurable, and as such, it poses challenges for marketers who advocate a holistic approach to marketing, incorporating top-of-funnel tactics that are not as easily measured, such as social media and PR. It can be tempting to deploy more and more resource to the conversion engines the brand is building, and at the outset, improved results may affirm that decision. Inbound lead flow is the fuel for those engines, however, and dialing back upper funnel activities will soon reduce the number of qualified leads, causing conversion numbers and revenues to dip. The challenge is this: the higher up the funnel you go, the more difficult measurement is, leading some to lose sight of the importance of awareness building social media and public relations programs. 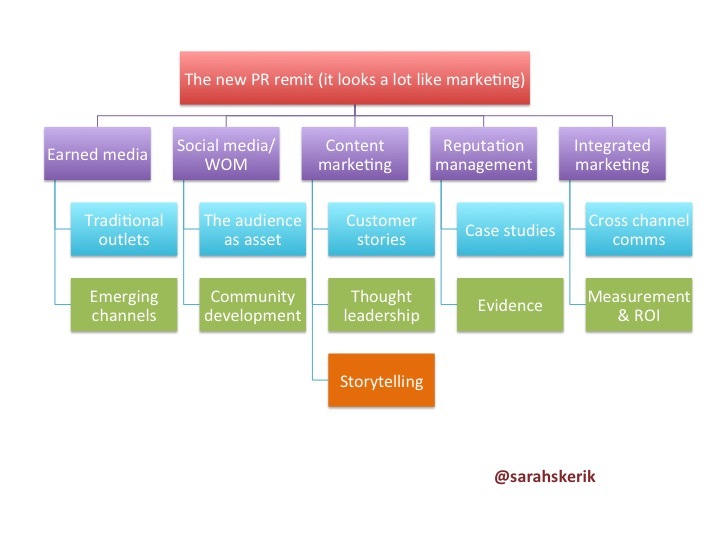 For marketers who build social media and public relations strategies designed to support buyers journeys and fuel inbound attention, content marketing to capture and hold interest, and automation on the back end to nurture and convert leads, developing measures that justify upper funnel programs can be a bear. Early stage and persona-level qualification: Upper funnel, awareness-building activities have a profound impact on the generation of qualified leads and ultimately, the efficiency of the marketing engine. Over time, as your social teams build and refine audiences and brand traction grows, lead scores from the upper funnel should improve. Audience building: Contrary to popular belief, social media isn’t a wild and wooly universe. There is an inherent degree of organization, in which people and topics are woven together by relationships, keywords and hashtags. Brands that take the time to build persona-driven audiences deliberately can quickly find themselves seated at the table, amongst their core constituents. In addition to developing direct connections with key groups that have the potential to drive qualified leads, this audience also carries another powerful benefit: amplification. New audience acquisition, via a credible introduction to the brand. 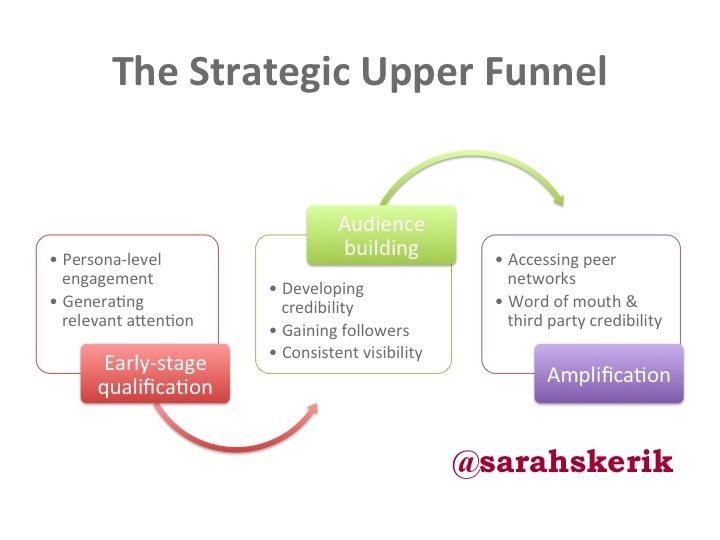 The strategic upper funnel is a crucial driver of success for a number of marketing initiatives, including demand gen, search and content marketing. Success in this quarter is predicated upon the brand building authentic and credible social presences and then fueling those presences with rich and useful content. From a measurement standpoint, things become much clearer when the upper funnel is aligned with the brand’s larger goals. While the web analytics will never be perfect, marketers can measure the effectiveness and efficiency of their upper funnels by correlating outputs and audience growth with traffic (especially to target URLs), search rank, lead quality and on-page conversion rates. A heads-up organization will assess campaign success by looking up the funnel and reverse-engineering the results, and then applying that learning to future campaigns.